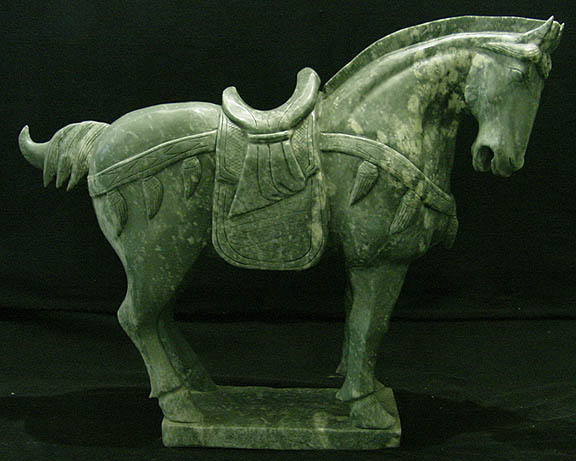 Ancient Chinese arts is arguably one of oldest continuous tradition in the world. The Chinese Art was dated back to 10,000 BC; Neolithic period, where the simple pottery and sculptures were mostly common. The art had been evolving with time. Religions, political figures, and philosophy played an important role in Ancient Chinese art. Ancient Chinese perfected calligraphy, poetry, and paintings. The style of calligraphy, poetry and paintings had its own uniqueness in different dynasty. Without any further due, here are the 10 most popular Ancient Chinese arts. The life was simple in the Neolithic period. People in Ancient china spent their life farming and animal husbandry. The arts during the Neolithic period were classified into a mosaic of 22 regional cultures by an archeologist. 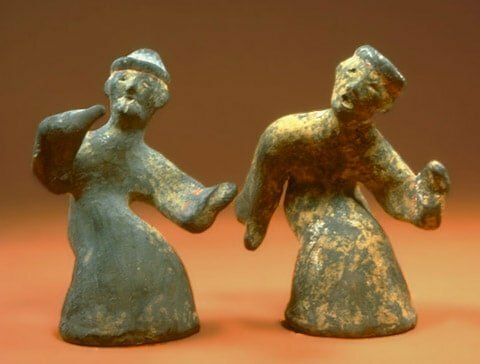 According to the archeological finding, arts began to take shape around 7,500 BC in Ancient China. Ceramic arts was quite popular during that time. It involves the serious of four steps; Forming, firing, decorating, and refining. The first evidence of the user of pottery was seen in 18,000 BCE. The Pottery evolved with the time. 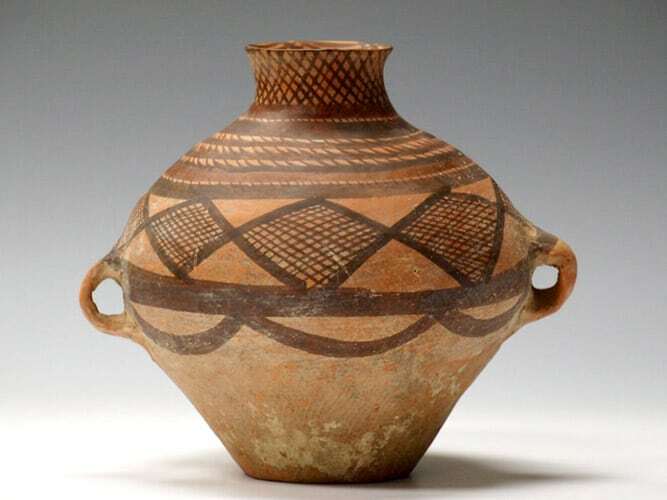 Around 4,000 BC, the color ceramic arts started to appear in Ancient China. Ancient Chinese practiced the pottery rigorously since its first appearance in 18,000 BCE which wasn’t quite common in other ancient civilizations. The evidence of the uses of Jade was found in Yangtze River Delta of China during Liangzhu culture (3400–2250 BC). The large ritual jades such as BI discs, Yue axes, and Cong cylinders were popular. The arts with a different animal such as turtles, birds, and fish were extraordinary. The manufacturing of the jade began to rise during Shan Dynasty (1766 to 1122 BC). Chinese had the technology to build the jade from every imaginary object. The craftsmen started use efficient method create a masterpiece. During the Han Dynasty, ancient Chinese arts reached its peak level. It was also known as the golden age for the Chinese arts. There was a great improvement in a visual art as well as music, literature, and poetry. Han Dynasty also witnesses the development of Tomb art. Some of the tom artifacts were exclusively for the funeral. Gu Kaizhi was the painter and the author of several paintings books. His art has been flourishing today through the copies of silk handscroll paintings. He was known for his embellishment quality to eyes in portrait painting. Later, his graphics techniques became the main block of the traditional Chinese paintings. His books became the inspiration for the several Chinese scholar and painters. Apart from paintings, he was also known for his poetry and calligraphy. 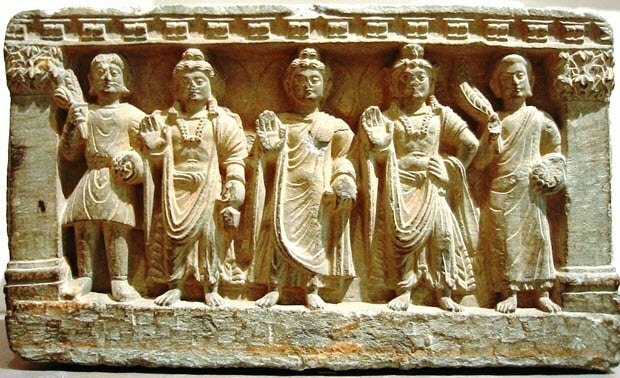 When the Buddhism spread in China in 67 AD during the Han Dynasty (206 BC -220 BC), it has a significant effect on the development of arts and culture. During this time, many Buddhist scriptures were built. During the Jin period (265-420 BC), the Buddhist writing came out and the most Buddhist scriptures were translated. The legacy of Buddhism in china made it one of the most artistic collection of Buddhists arts in the world. There are some of the famous sculptural sites such as the Mogao caves, the Longmen, and Bingling Temple. Cloissone is derived from the French word “cloison” which means “partition”. It was one of the famous ancient techniques for decorating metalwork objects. Cloissone was mostly popular to decorate utensils that were made from copper or bronze. The thin copper wire was glued on the objects and the fine pieces of design or theme were drawn over it. 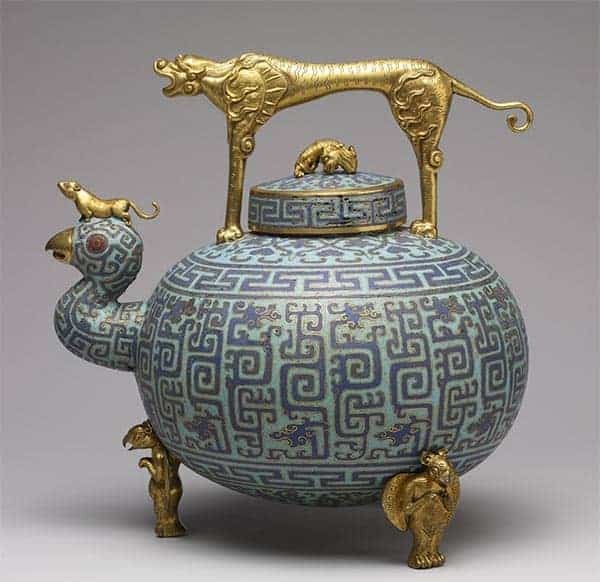 Cloisonne was mostly popular in Yunnan province, ruled under the Mongol. They produced some of the finest unique pieces. Earliest Cloisonne was very fragile and the few pieces have survived till date. 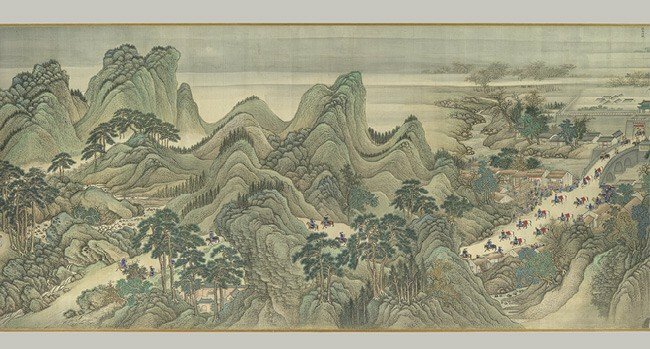 China has witnessed one of the finest landscape paintings from the Five Dynasties period to the Northern Song period (907-1127). This period is also known as the “Great age of Chinese landscape”. 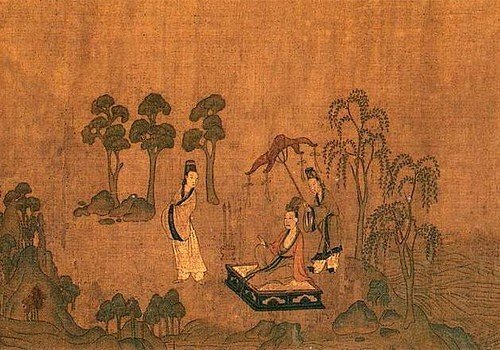 There were two separate techniques that were popular in Ancient china. In the north, the painting of towering mountains was famous. It was painted with ink wash, back lines, and sharp, dotted brushstrokes by the popular artists Guo xi, Fan Kuan, and Jing Hao . In the south, the paintings of the rivers and hills were popular. Artists like Dong Yuan, Ju ran, and others try to illustrate their native countryside with rubbed brushwork. The techniques known as “mind landscape was started to evolve during the Yuan dynasty. It was a technique that contains calligraphic brushwork which represents the inner spirit of the artist. 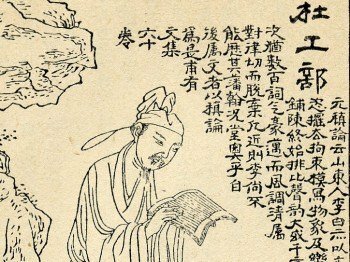 Poetry in Ancient china was an expression of both public and private deep emotions. The readers can abstract the insight of the inner life of the writer by reading his/her poem. Classical Chinese poetry includes the 3 basic elements known as shi, ci, and qu. The ancient Chinese people brought their music from Africa to China. They clapped hand, sang songs with the hand bone pipes and drums. During the Zhou Dynasty, a man named Ling lung invented their first musical instrument known as bamboo pies. It produced the sound of birds. During Qin Dynasty (221-07 BC), the first imperial Music Bureau was established. It was later expanded during the reign of Han Wu Di (140-87 BC). 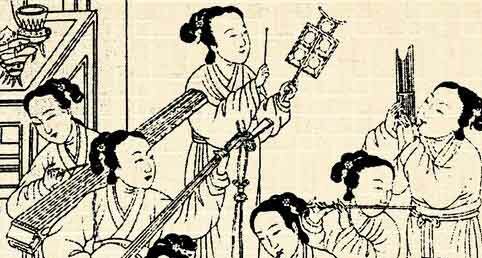 The oldest written music of Ancient china is Youlan, mostly known as Solitary Orchid by Coufucius. Despite the popularity of music, the musicians rank lower than the painters. LIng lun is considered as the founder of Chinese music. He invented the foundation tone from a cut of bamboo pipe that produced the correct sound. Silk was more than art. It is one of the greatest inventions of Ancient China. It was used in the variety of sectors such as fishing, writing, musical instruments, clothing. Silkworm can only produce 1000 meters of silk in its lifespan of 28 days. Thus, Silk had a high value in China and around the world. Silk was exported from china using the Silk Road. The overland route became so popular that it is known as the Silk Road. The artwork of the silk’s artist can be seen on Mawangdui Han Tomb. The silk produced excavated from the Tomb are some of the unmeasurable skill of the Silk Artist. Art in the China had been growing in phenomenon way. It has been able to adopt by accumulating the culture and tradition. Today’s Arts in ancient china is not limited to the above-mentioned list. However, the lists of the above-mentioned arts created a foundation for Chinese art.